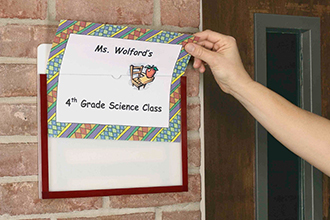 For acrylic sign holders that stand miles apart from the boring, cheap plastic offerings at office supply stores, turn to The WallPocket Company, the source for decorative sign holders since 1991. 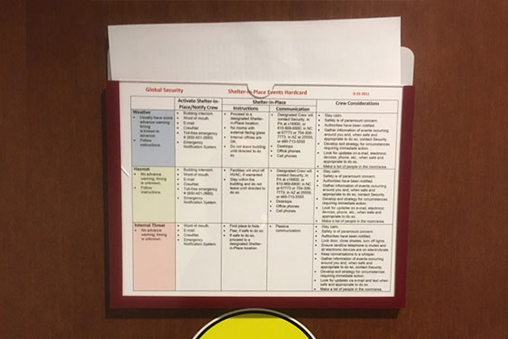 Our PlexiPocket™ sign holders for walls and doors are highly customizable, with a variety of options available for border colors, sign pocket size, and even custom labeling for the top header space. 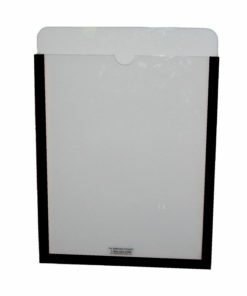 And, while the sign pocket is thick enough at a fourth of an inch to hold multiple papers at once including holding handouts or commonly changed signs, the overall thickness means its slim profile is less obtrusive than thick alternatives. 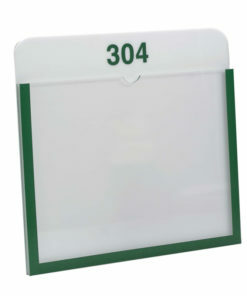 What’s more, our acrylic sign holders are incredibly easy to use and clean, since they have thumb notches at the top for access to the papers inside and our unique cleaning slots at the bottom to prevent the buildup of debris and dust.At The WallPocket Company, our PlexiPocket™ acrylic sign holders are made from highly durable, impact-, fade-, and crack-resistant material designed to display your signs for years to come. 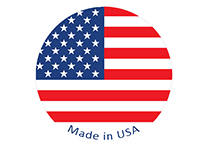 In fact, we stand by the workmanship and quality materials of our products with a 100 percent satisfaction guarantee on all standard sign pockets. 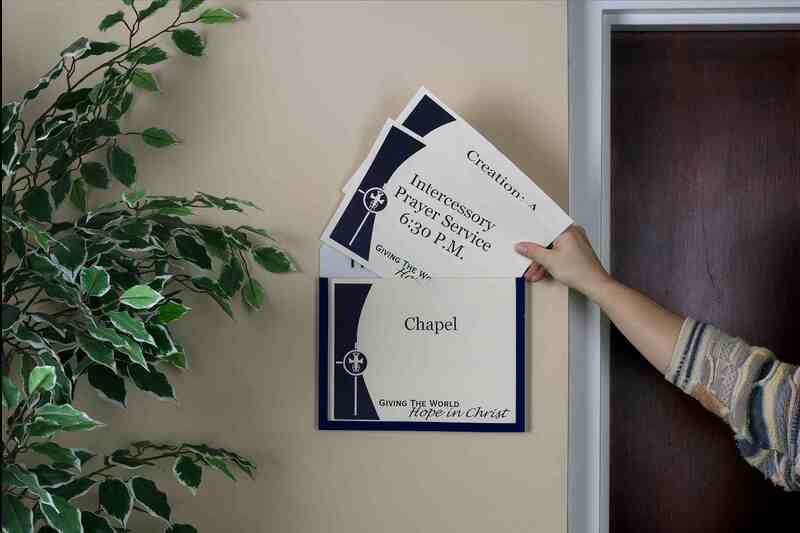 Also, for even more options to suit your tastes and the décor of your office, church, school, or other location, we offer the solid oak or walnut WoodPocket™ for a classical aesthetic and the metallic AlumaPocket™ in brushed nickel or gold for a more modern feel, all with our durable acrylic pockets for your signage. 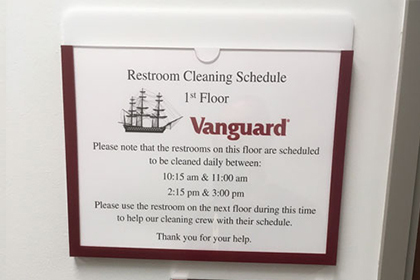 In addition, if you have a sign or document need that our standard signage sizes and styles can’t meet, feel free to ask about our CustomPocket™ options for designing your own sign display. 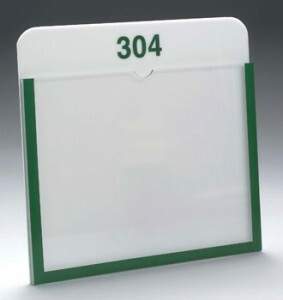 For more information on our acrylic sign holders and to ask about a free color sample, contact The WallPocket Company today.